Blessedly so, we live in a time where $38,000 buys you a lot of car. Features that used to be reserved for the up-angled noses of Mercedes S-Class buyers are now attainable to a much larger fraction of the population at this price point, and plenty of automakers have gotten on board by tacking on luxury amenities. By that logic, a dealer selling a car loaded with comfort and convenience features shouldn’t even flitch when asking $38,000, right? 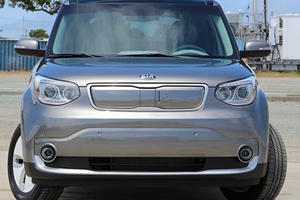 At least that’s what seemed to be the idea behind the Kia Soul EV +. Load it up with more standard items than many luxury cars care to hold and suddenly the fact that you’re driving a Kia whose cost has ballooned to twice the amount of a base Soul should hide the fact that all you’re really paying for are electric motors, a big fancy Duracell, and a few extra chassis reinforcements. While the car may start at $31,950, the small "+" on the name adds $4,000 for leather seats and projector beam fog lamps. Compared to other choices at this price, such as the Infiniti Q50, Ford Mustang GT, and Mercedes C-Class, the Kia Soul EV+ is an overpriced burden. However, in its own realm of world-saving electric crusaders, it is one of the most formidable competitors. Its 27 kWh battery pack holds an EPA estimated 93 miles of charge, the second highest range for any electric car offered without a Tesla badge. Unlike many other EVs, real world range numbers actually correlate to the estimates written on paper. Unfortunately, the merely adequate range comes at the price of a 620-pound battery pack and extra weight from chassis reinforcements, both of which make this Kia weigh 300 pounds more than its gas-powered equivalent. At least the weight is down low given that the battery pack is tucked away under the floor. Only the rear seat occupants will feel the sting of a loss of cabin space, but it’s hardly noticeable and only slightly hurts storage capacity in the rear. The low center of gravity makes the Soul a joy to drive in the city where the EV+ will do the majority of its duty. 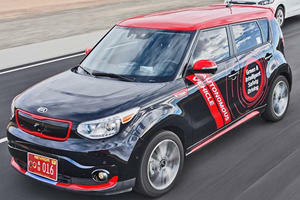 Despite the fact that the throttle only commands a 0-60 mph time of 12 seconds thanks to a 109 horsepower and 210 lb-ft of torque AC Synchronous electric motor, the Kia Soul EV + has fun built into its DNA. Flashing light rings surrounding the speakers are the first signs of that. The rave-mimicking sound system was included with the $1,100 Sun & Fun box that came ticked off our example. The sun part of that name came courtesy of a panoramic sunroof that, at the touch of a button, is exposed after the recycled cloth cover fully retracts. Dash plastics also share the same recycling plant origins to lull in the environmentalist commuter. Passengers in the vehicle are made to feel welcome with leather seats that are heated and ventilated up front and can also toast buns in the rear. The driver is kept comfortable too with a variable ratio steering adjustment, Bluetooth, a competent navigation system, and a backup camera. Driving is made simple with a regular stick gear selector, the only difference being that there is a "B" mode to amp up the regenerative braking when headed downhill or in need of extra juice. Brake feel is surprisingly progressive given that there are two separate stopping forces, regenerative braking and good old friction, summoned when the pedal is pressed. A week with the Soul proved to be a breeze, especially on the daily commute. The routine goes something like this: get in, drive to work, drive back, and pop open the nifty charging port located on the grille, and plug in a standard SAE J1772 l el 1 or 2 charger or a CHAdeMO DC fast-charge. Charging times for each from empty to full battery are 24 hours, 4-5 hours, and a half hour for an 80% charge, respectively. A routine like this would be easy to get used to if the prospective owner were more established and cut out all elements of spontaneity, which is hard to do for a young millennial in a city bustling with life. As a city car, the Soul EV + is excellent, compensating for a lack of a gasoline engine with a noise that alerts pedestrians that a car is silently backing up on them. Intelligently enough, one power saving feature has the ability to turn on the air conditioning and have it blow only on the driver, saving precious miles that would otherwise be wasted on cooling the empty leather seats. The only shortfall about the Soul EV + is the same pit that other modern EVs fall into. It’s the fact that they seem to be stuck in the past and have not evolved very far. In 1996, GM built and leased the EV-1, an all-electric car that had a range of 70-90 miles and a charge time that varied between 15 hours and 3 hours depending on if you were using a 120-volt setup or a 240-volt outlet. Aside from Tesla, these performance numbers are in the same league as many cheap EVs that are sold today. Simply put, it seems as if cars like the GM EV-1 and the Kia Soul EV + are the first generation, and what a lengthy generation it has been. Hopefully, as the Tesla Model 3 rolls out and brings with it an army of competitors, we’ll see the automobile world make a leap into Generation II. In this phase of life, the electric car will have range comparable to a gasoline vehicle and recharge times in the tens of minutes. This is the point where being green comes with zero compromises. 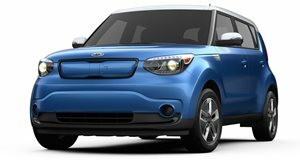 Until that day comes, the Kia Soul EV + is a good option for those too impatient to wait for the Tesla Model 3 or other competitors to roll out. 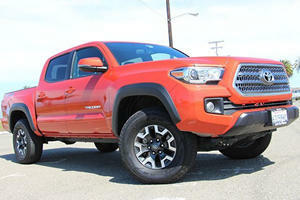 It will keep the eco-conscious urbanite happy with each mile on the low-resistance tires while the auto market gets ready for its next evolutionary step. These are the best in their class. Consider this cheeky little EV while you wait for your Tesla Model 3 to arrive.